I am so excited to announce the arrival of a project that Laura Erdman-Luntz and I have been working on for several months!!! 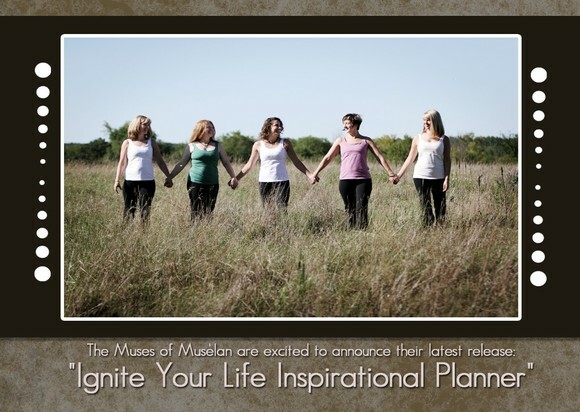 We co-published an Inspirational Planner titled: Ignite Your Life With Muselan: Your Inspirational Year , and it’s finally here!! We are buzzing off the walls we are SO excited to share this with you! The planner is filled with inspirational worksheet pages that Laura created to help you journal your way towards the life of your dreams! And of course there are pages filled with beautiful images that I took along with inspirational quotes! Laura has also created a website to go along with the planner so that you can have online support throughout your journey! The planner can be started at any time, we are currently selling the January start date, but as January approaches, we will release a February start date and so on and so forth! 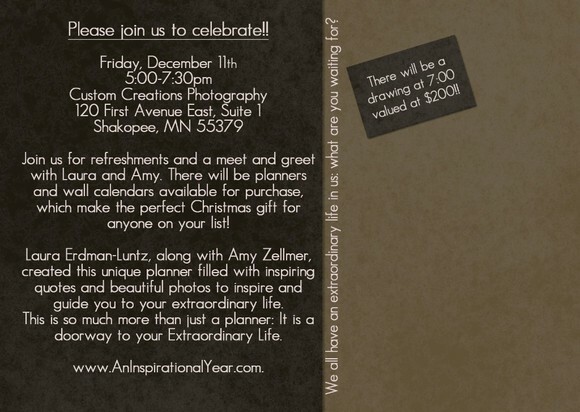 If you are not able to come for the Release party you may purchase your planner online by CLICKING HERE . You can also check out the website Laura created HERE . Posted in Uncategorized | Comments Off on Book Release Party!! !